This unique Crown Top Milk Bottle can only be found in Canada. In 1907, the first example of a "homogenizer" was brought to North America by Mr. A.F MacLaren from the Canadian Farm Produce of Montreal. 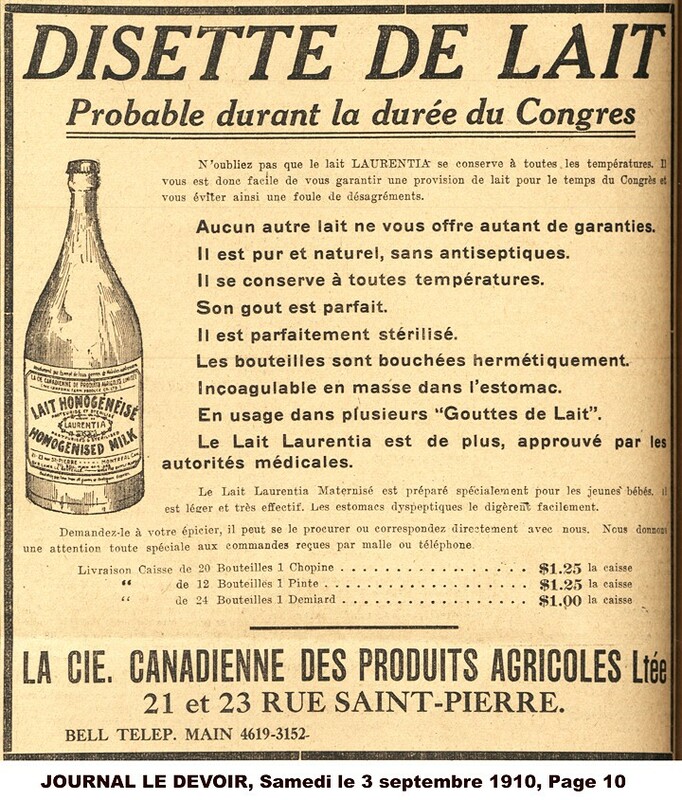 The "homogenizer" was placed in the St. Hyacinthe Dairy School for testing, and in 1909, the Canadian Farm Produce bought the patents from A. Gaulin of France, and proceeded to homogenize, bottle and sterilize milk, so that it could be handled like ginger ale or other bottled drinks. 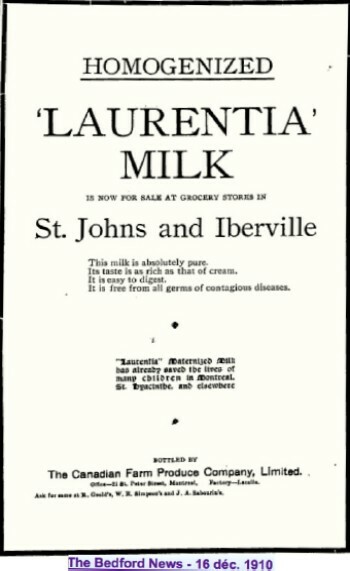 The name of this new homogenized milk was "Laurentia" Milk. Companies were organized at Lacolle Québec, Antigonish Nova Scotia, Caledonia Ontario, Neepawa Manitoba, North Battleford Saskatchewan, Red Deer Alberta, and Clayburn British Columbia. A.F MacLaren was the founder of the "Laurentia Milk Company". He manufactured Imperial brand cream cheese in Toronto & Detroit, (later sold to J.C. Kraft) and was now the proud holder of the Canadian patent to a new milk processing process. The future looked bright indeed. 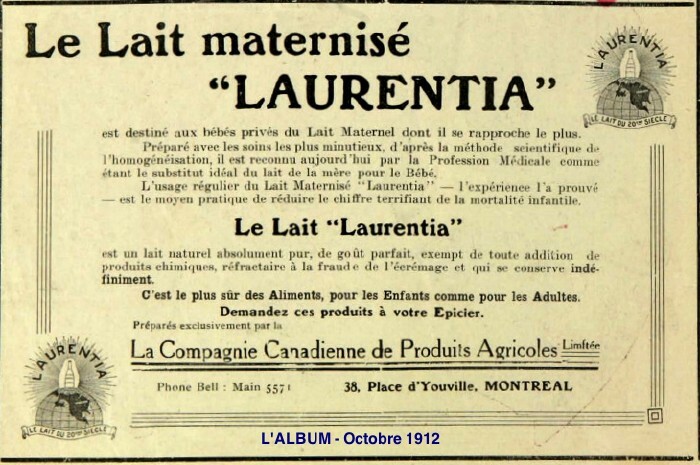 Unfortunately for various reasons by 1914 the "Laurentia Milk Company", the company closed down, taking tens of thousands of dollars in raised capital with it. Some people blamed it on the onset of Great War, others stated that the "bottled" milk tasted poorly & was no substitute for "fresh" milk. The glass is a very light purple in color due to the manganese content that was ironically used in pre 1915 glass as a "clarifying" agent.